Many organisations have traditional reporting tools that are often unable to keep up with ever-growing BI requirements in order to remain competitive and are unable to deliver data in real time. There may be complicated disparate systems in place with different installations which don’t communicate effectively with one another and collate data, making it difficult to generate consolidated reports efficiently and without discrepancies. This webinar is the 2nd webinar in our series entitled, 'Turning Data into Measurable Business Insights: Revealing Hidden Business Intelligence'. 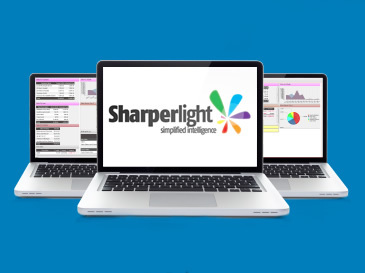 The webinar explores how to turn data into measurable business insights with Sharperlight, a simple, automated and auditable business intelligence and reporting tool. Find out how to gain real time information stored in multiple business applications and 3rd party data across your entire organisation and present this data in attractive and interactive reports and dashboards. To view the recording, please fill in the short form on the right.